The first time I visited Tahiti and French Polynesia, I was 3 years old. So you would imagine when I got the opportunity to go back there for a special family trip last year, I didn’t hesitate one second right? French Polynesia is the dream of many people and often out of reach as so far away and so expensive. The numbers speak for themselves, only about 200,000 visitors go to French Polynesia each year. Which makes it a very exclusive destination. French Polynesia is part of France and yes everyone speaks French! Many speak English too of course but if you know a bit of French, it’s always easier. From Australia, the trip really isn’t long (as long as you don’t encounter plane issues like I did on the way back but that’s another story). It took me about 8 hours total to reach Tahiti and if you leave in Australia, that’s pretty good. My plane tickets weren’t also super expensive, about AUD$1,000 return. You can travel around French Polynesia under a budget, I stayed in a nice hotel and did a cruise with my parents but on the way back stayed on my own at a hostel and met lots of young French travellers (usually from New Caledonia or Australia) visiting the different island and although many had to choose only a couple of islands to visit, they could do it on their own budget. Staying in nicer hotels, transfers between islands and the cost of life in general is a bit expensive though. I found also the conversation between Pacific francs to dollars was really bad. 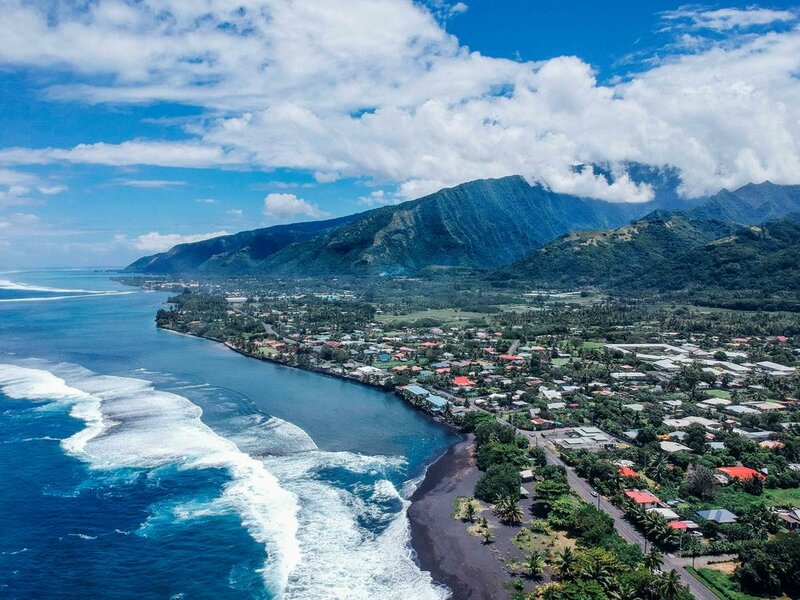 But Pacific francs to Euros was quite ok.
Don’t spend more than half a day in Papeete - check out the market, the pearl museum and that’s pretty much it. There isn’t much more to see and the city itself isn’t the nicest. 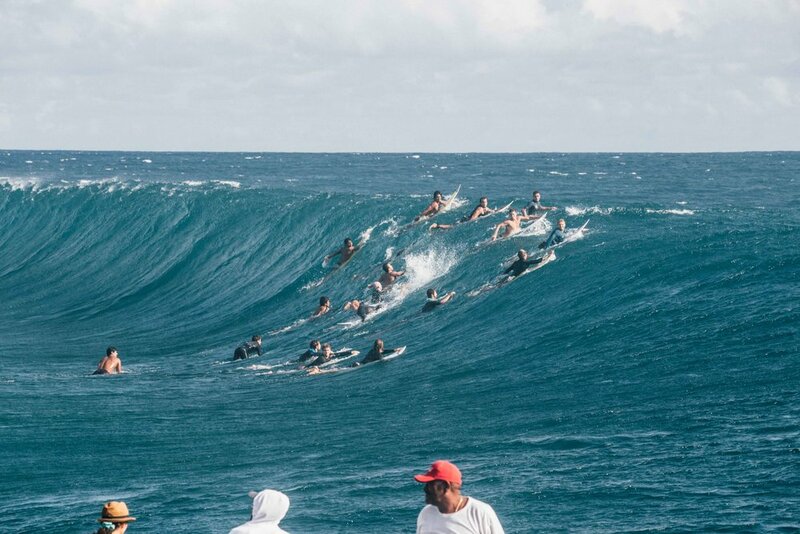 A MUST DO for ocean & surf lovers: watch the Teahupo’o wave! This was hands-on one of the best thing I’ve ever seen. We took a boat from “Cindy Taxi Boat” in Teahupo’o, a lovely surfing local family who take people on one-hour boat tours every day. For about 30 dollars per person, you can get very close to the wave and watch surfers get the most insane barrels. I got lucky on that day and saw quite decent waves. It was incredible to watch! Definitely one of my favourite islands in French Polynesia - Huahine was great to discover the local life, about plants and agriculture but also French Polynesian traditions, history and culture. 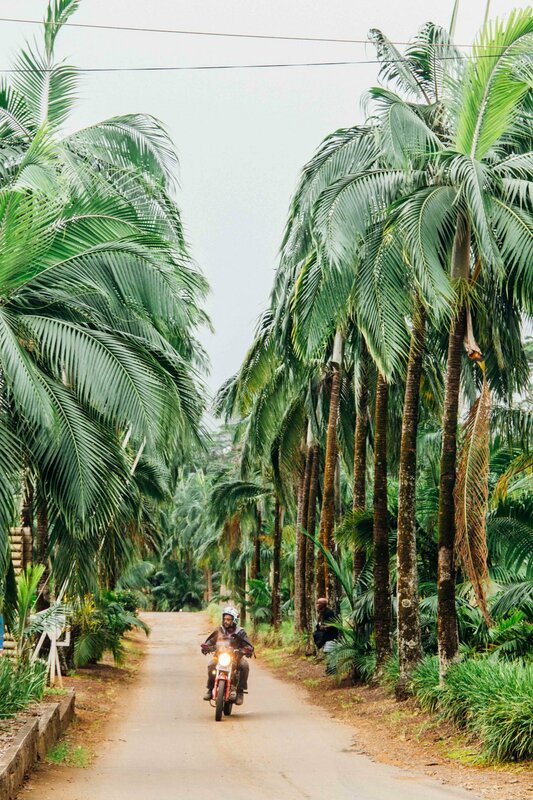 The tropical surroundings of this island are also stunning. Bora was a nice place to stop to observe the marine life with whales, dolphins, stingrays, sharks… I had a great time swimming in the ocean with those. I actually saw more when snorkelling than diving (which was a bit disappointing!) so definitely recommend that to you try this at least once. The crystal-clear waters are the best to dive into! You can also discover the inside of Bora-Bora ina 4WD to check out the sights, the nature and the beautiful hotels. But I found overall Bora-Bora quite touristy and not as charming as the other islands - still interesting to explore though. Moorea is only 30 minutes away from Tahiti and quite a nice island to explore as well. I found it had a lot more charm, beautiful nature and more traditional than other ones. I really enjoyed the tropical feel there. 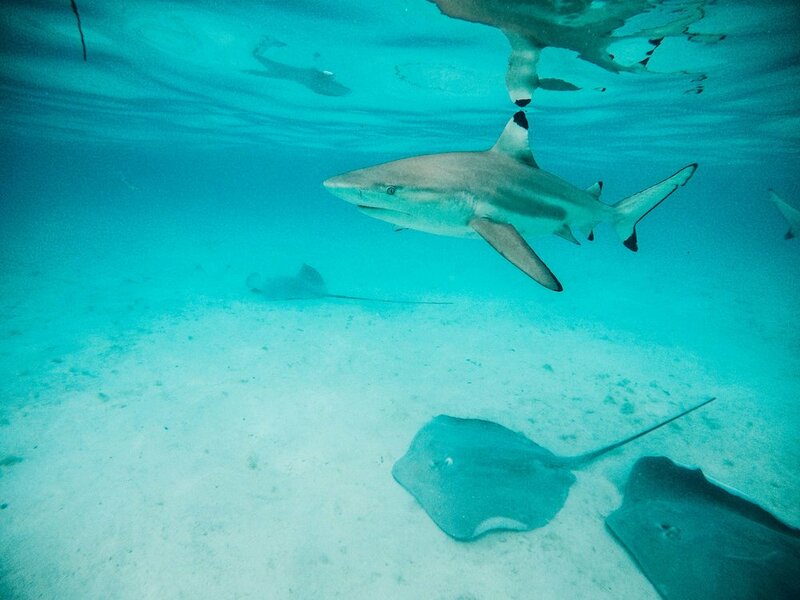 You can do the same activities as in Bora-Bora with sharks and stingrays snorkelling, tours around the island to discover the inside and the culture. I also visited a pineapple plantation there which was beautiful and very interesting to see how pineapples are growing! I got lucky to also stop on a private island for the day thanks to the cruise we did with my family. Apparently, there are quite a few motu (meaning small island with not much on it) which you can access around French Polynesia. It’s the perfect place to relax, take pictures, swim and really really relax. I loved it because I could take many pictures! Overall French Polynesia is a big place to visit and it is not cheap but definitely worth to do at least once in your life. I think it’s best to visit the islands by boat (I’d love to do by sailing boat one day!) as it’s such a nice way to discover the surroundings. 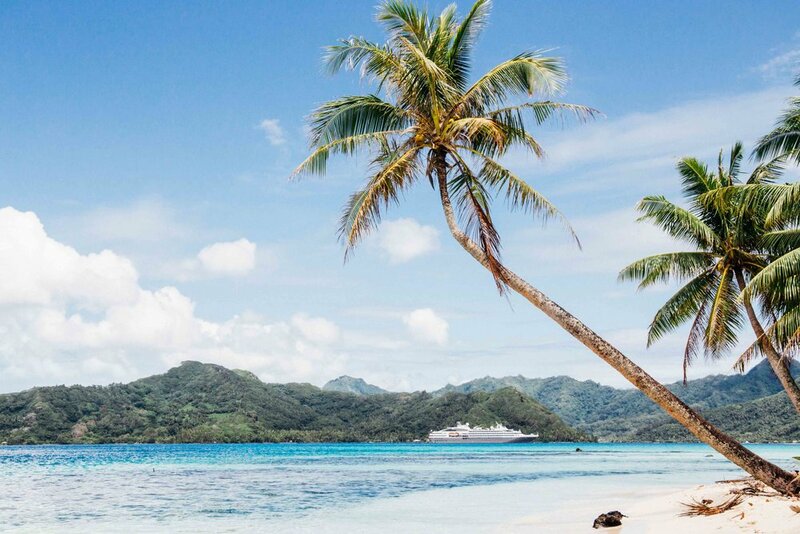 Have you been to French Polynesia before? Or is it on your list for your next escape? Tell me everything! Winter time in Sydney doesn’t mean the exploration stops! 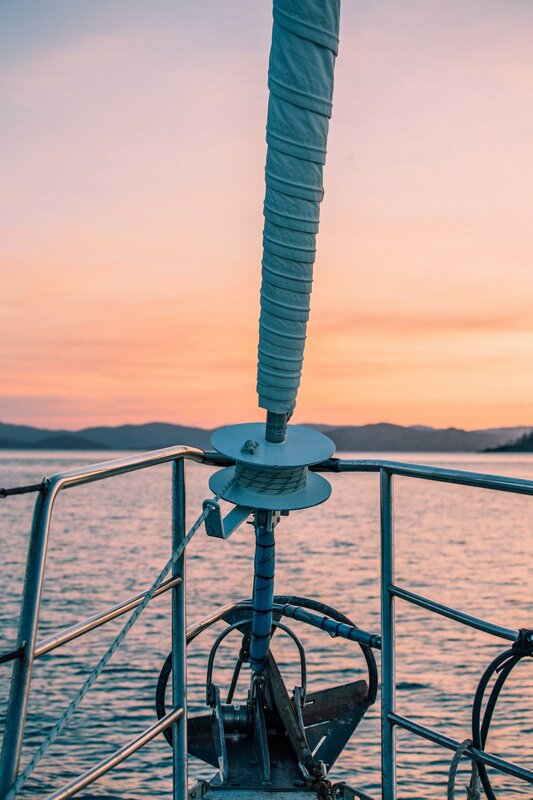 Although it can be a little cold in Sydney, we’re lucky to enjoy many sunny weekends and at the best hour of the day, some warmer temperatures! So rather than spending hours on the couch watching Netflix, get yourself out there and plan that winter escape! Believe me, a couple of escapes and you’ll barely notice winter was here (or not) and it will be summer before you know it! Here are some of my top winter escapes from Sydney! Lovely by any weather, hitting up Palm Beach on Sunday afternoon is the perfect winter escape right on the doorstep of Sydney. My favourites? Lunch at The Boat House and then hike up the lighthouse. Plus, the drive up and back is really scenic. Stop at Whale Beach for a little extra beach time. The drive south is as stunning and as it does get busy in summer, especially in Jervis Bay, going in Winter and beating the crowds is actually much better! Favourite stops for me? Wollongong and Hyams Beach. You’ll need a car to go to Hyams Beach! 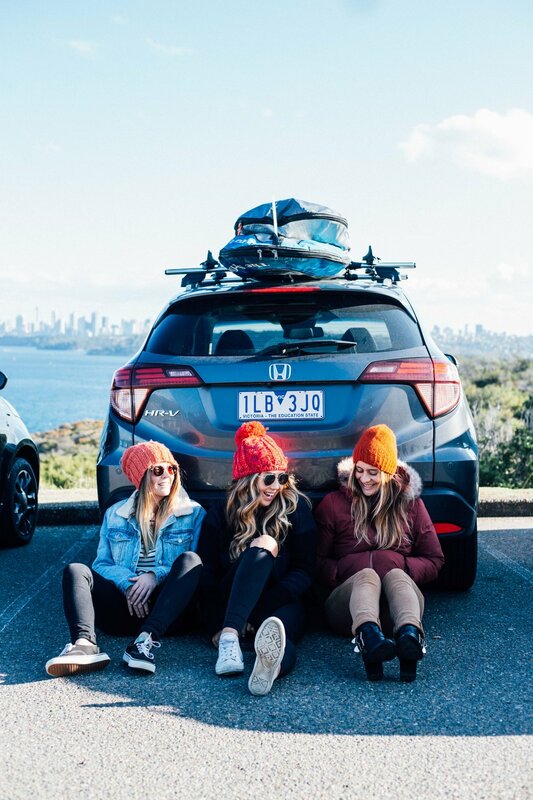 Winter road trips are fun - thanks to Honda Australia for lending us a car! I’ve discovered this part of New South Wales only recently during Summer but also for a surf trip during Winter. Guess what? It was rainy and cold in Summer and yes it was cold in Winter but still really fun and beautiful. My favourites? Mollymook beach, Green Island and its beach, Ulladulla and Milton. But I’ve yet to discover so many more places there. 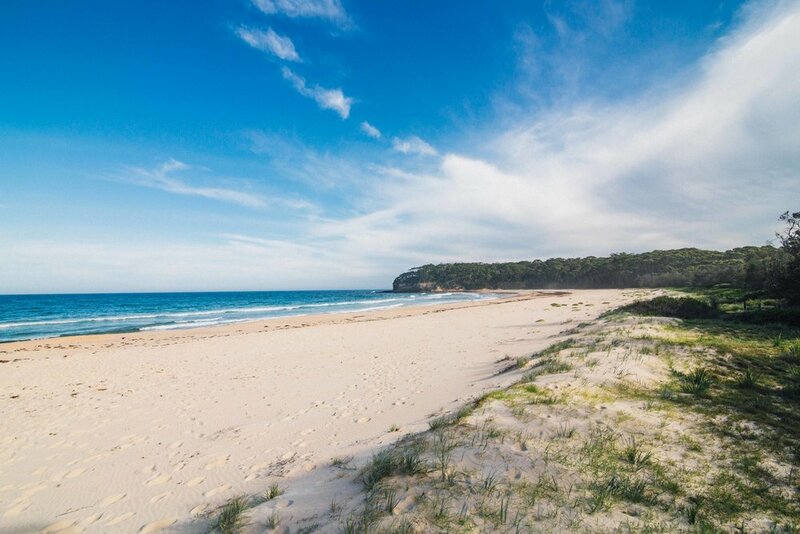 There’s actually the 100 beaches challenge in Shoalhaven which sounds pretty fun and a good way to discover the region too! Now yes, it might be a bit contradictory to get into colder territories but there’s something very special about visiting the Blue Mountains in winter. The cold chill, the soft sunny light, a hot drink in hands and it makes it perfect! And the best about going to the Blue Mountains in Winter? You can go up and down those hikes and not feel like you’re overheating! My favourites? I have a lot! 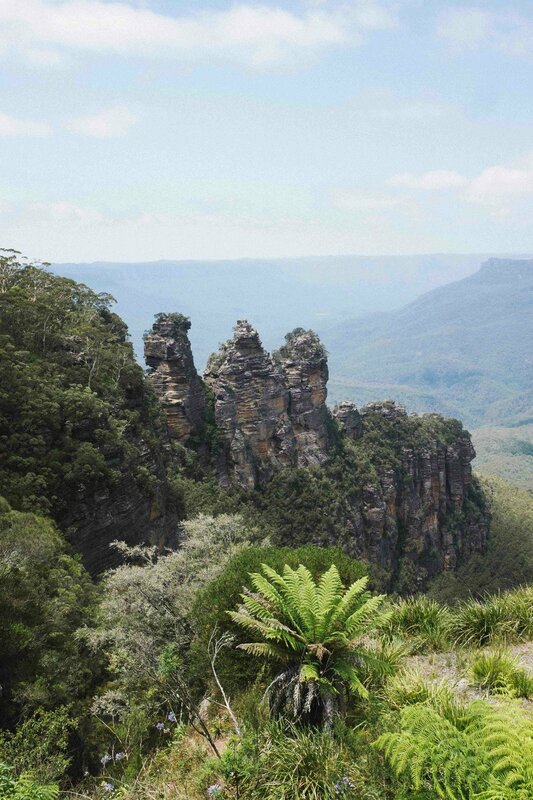 Discover all my favourites places in the Blue Mountains in this article I wrote previously. 5. Go the whole way and get some snowy time in the snowy mountains! 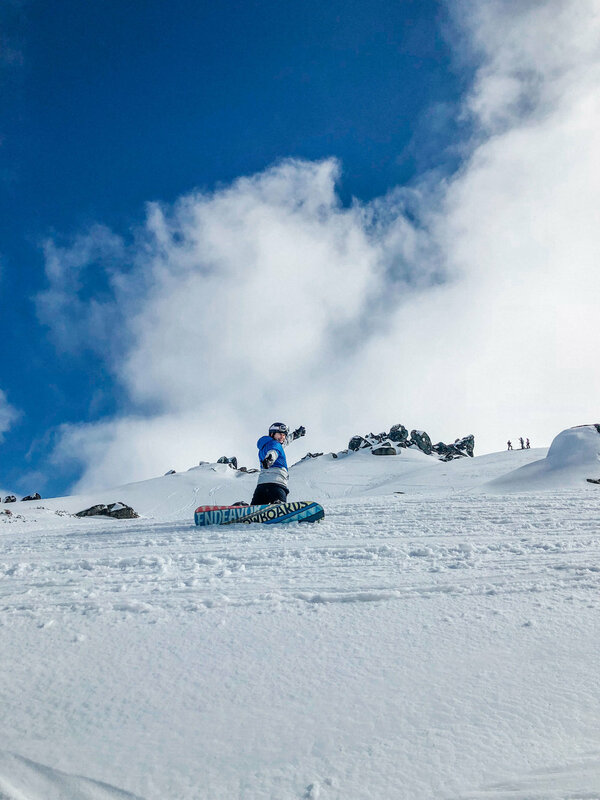 Thredbo, Perisher, Charlotte’s Pass… you call it! Why not make the most of the short winter here and hit the slopes this time. Just beware of planning well in advance as it can get a bit expensive but it’s so worth it once you are there! I’m actually going next weekend to the snow so will definitely report back on how it is. 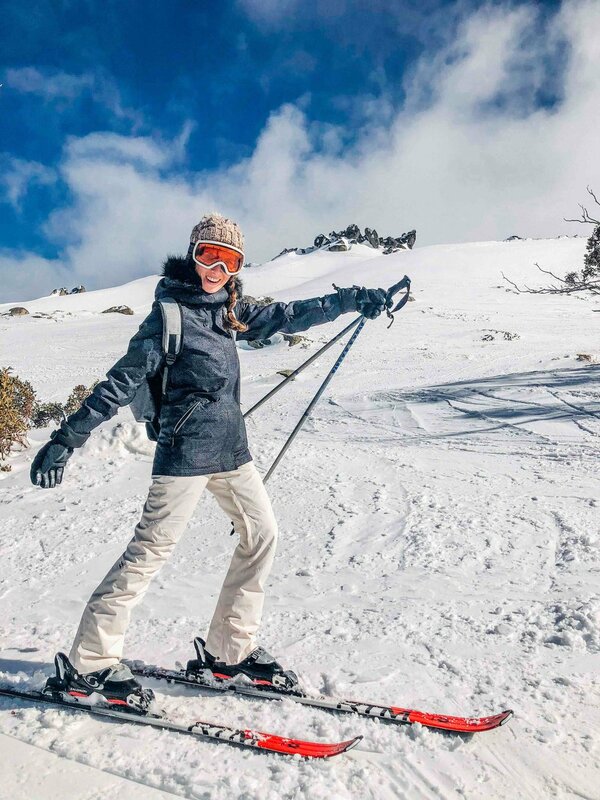 In the meantime, check out my article from a few years ago about skiing in Australia! Sydney to Thredbo: 5h30 minutes drive - maybe a bit more! So do you have any road trips planned this winter? If so, let me know where you are going! 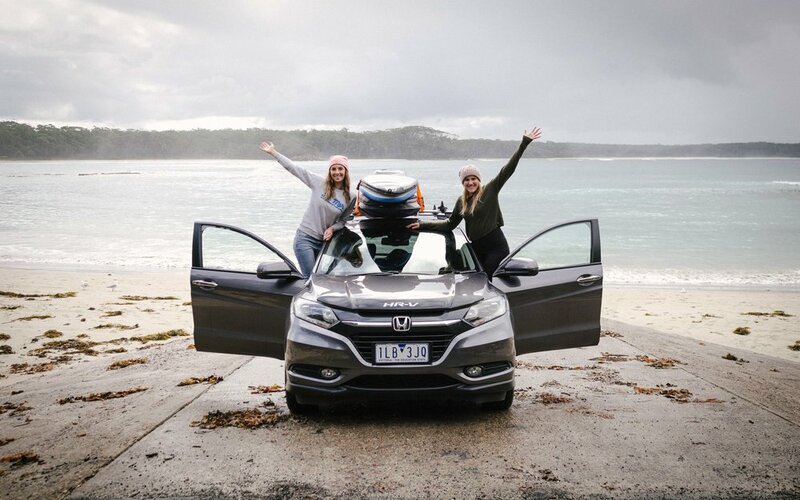 And special thanks to Honda Australia for letting me experience and capture their car on my latest road trips! It’s been an amazing partnership which I’ll tell you more about soon! The Maldives - that dreamy destination full of crystal-clear waters and incredible islands and atolls in the middle of the Indian Ocean. It seems like an exclusive destination, full of luxury and decadence, yet there is so much more than that in the Maldives. From overwater luxury to adventure and discoveries, there’s something for everyone in the Maldives and it’s definitely a destination on the rise which I think is getting more and more interesting by the day! I’ve been lucky enough to spend an incredible week in the Maldives and at Club Med Kani, experiencing everything: snorkelling, surfing, diving, relaxing… And I can’t wait to go back already! From guest houses on local islands to luxurious hotels, Maldives can be done on a tight or extravagant budget. Many airlines fly to the Maldives and deals can be good - especially with low-cost airlines of course. We paid only 700 dollars return from Sydney with Air Asia and got there safe and sound. We did get a little misadventure with a cancelled flight on the way back but everything was solved pretty quickly and we even got to spend another night in the Maldives for free! It’s probably best to plan your trip in advance or as soon as you get a good plane deal. Finding a place to stay, building an itinerary and finding boat transfers can be lots of research and probably not that easy to wing once there. But with a bit of organisation, it can be the most magical trip! Everything revolves around the ocean in the Maldives and for ocean-lovers, it’s definitely an incredible place to experience. Firstly it’s always warm and the water is divine so it’s really easy to relax and there’s no excuse to not get in the water for any activity. 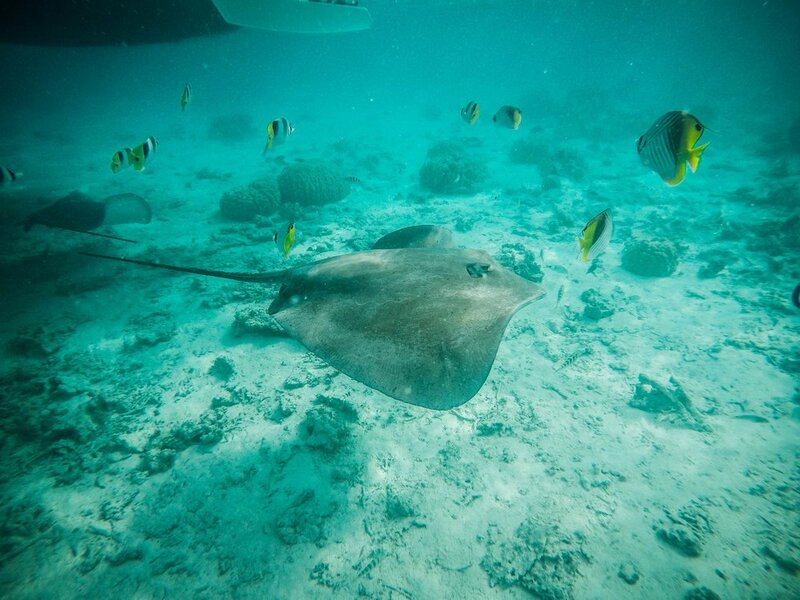 The ocean wildlife is quite stunning with rays, turtles, sharks, and so many colourful fishes! 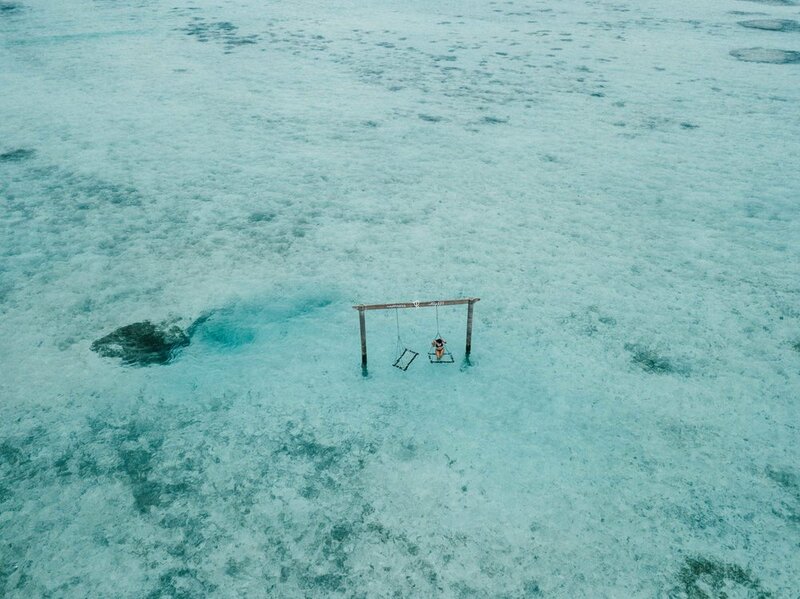 I’d definitely recommend snorkelling and diving as well. I actually did my discovery dive there and totally loved it! I want to do a course now in Australia to go diving again! 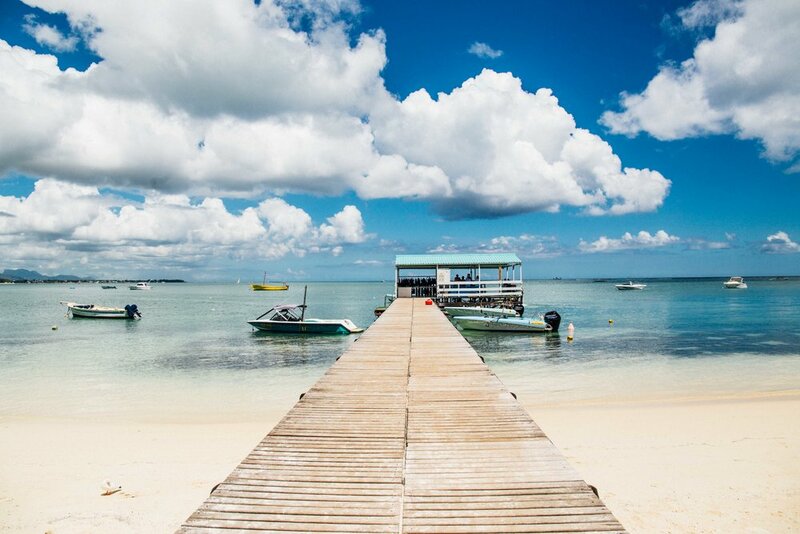 And with so many islands to discover, sandbanks to explore, turquoise waters to dive in, you’ll never get bored. It’s not a legend, the Maldives are the true deal for surfing! I’ve never surfed in Bali or Indonesia but apparently the Maldives are the softer version of it - although sets can be big! At least half of the year, there are some amazing clean and peeling waves breaking on the reef. From 2 ft to event 15 ft, there’s a lot to choose from and better be brave sometimes but it’s an experience of a lifetime. Beginners would be ok in smaller spots like Chickens but I would recommend the Maldives more for intermediate and advanced surfers. I got to surf at Sultans and although it was a bit bigger than I thought on that day, I had the best time ever in the water! Next time I come back, I’ll definitely bring a shortboard and surf as much as I can! If you'd like to learn more about surfing in the Maldives, read Zoe's experience of surfing in the Maldives here last winter! I only met a handful of locals but all were so helpful and fun to hang out with. From lots of other friends and visitors in the Maldives, they’ve also always had a great experience with the Maldivian people. So many of them are also totally connected to the ocean, it’s part of them. And I even got to witness some of them surfing and they are just incredible! I just wish I got to discover a bit more about the local islands but maybe for next time! 5. And you can of course indulge and have a taste of luxury too! The Maldives probably wouldn’t be it without all the luxury of course! 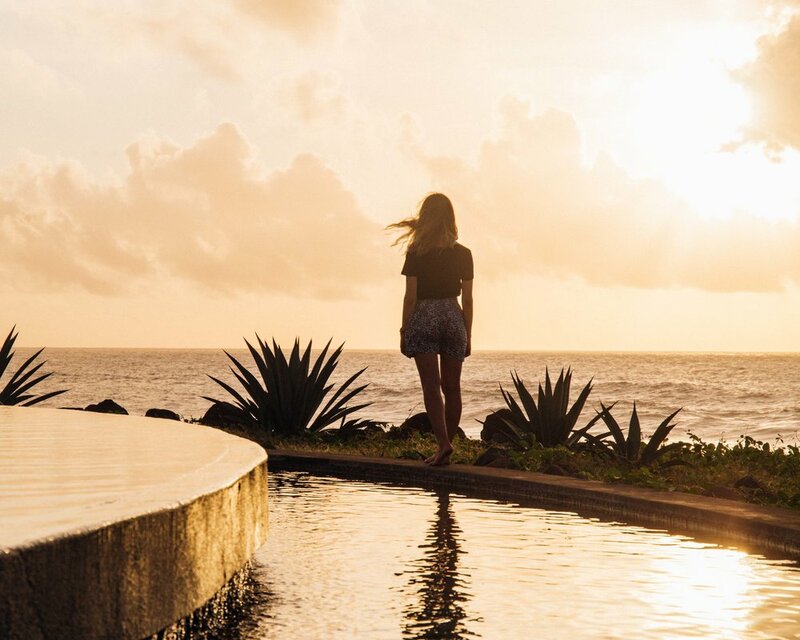 Whether you’d like to stay a week in a resort or a day, there are so many options out there. I was lucky to stay in Club Med Kani for a week but saw lots of people coming for day passes, hoping from island to island. I know some other resorts do it too. 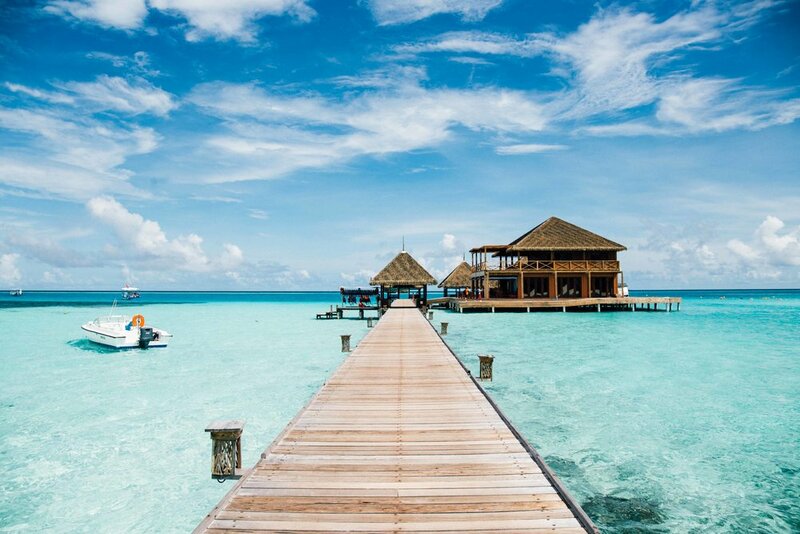 But after all, why not indulge a bit and treat yourself to also a nice overwater experience in the Maldives? When in paradise, might as well do it well! So to conclude, I had an amazing time in the Maldives and did so many activities I actually barely had time to slow down and relax! So looks like I gotta go back right? Who’s coming? Mauritius has an area of only 2,040m2 - which makes it a whopping 3,795 times smaller than Australia! But with more than a million people living there and many many places to discover, there’s a lot to see on this tiny island! 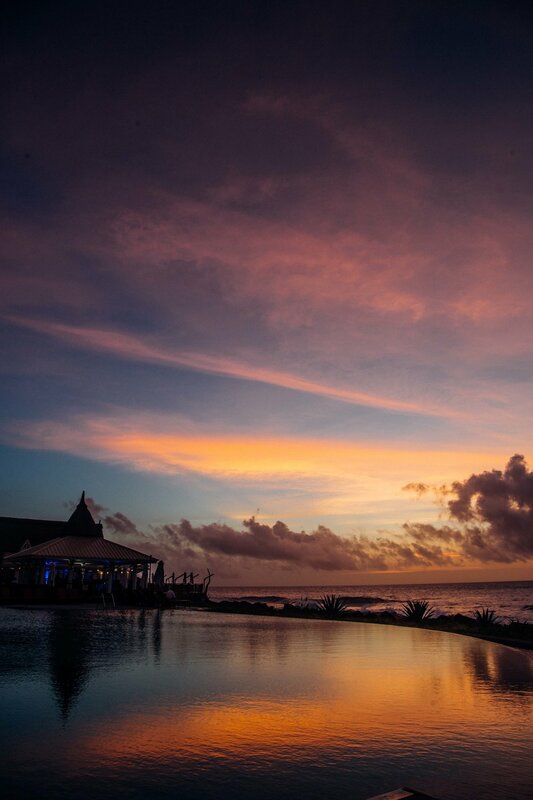 Incredible sunset over the Zen Pool in Club Med Albion. Fun fact, when I went to Mauritius for the first time as a 2-year old I was absolutely obsessed with the story of the Dodo bird. But the history on how the Dodo bird disappeared is quite sad actually being a combination of human stupidity and the introduction of new species. The Dodo bird was a beautiful big bird (23 kgs) which couldn’t fly having any predators in over 4 million years. When the Arabs arrived as the first people to set foot in Mauritius and Portuguese as well in 1505, Mauritius was a big destination in the spice trade and the Dodo bird was hunted for its meat. The Dodo of Mauritius - it's about that big! And later as the Dutch colons arrived, they brought other species with them: rats, monkeys, and pigs - which all ate the egg of the Dodo bird. Unfortunately, the Dodo bird was laying only one egg per year so its population quickly diminished and the last was seen in 1681. Myself in Club Med Albion, Mauritius. Overall Mauritius is a great destination to explore and discover more about its history. I really enjoyed discovering different landscapes, tasting delicious Mauritius food and Rhum, and talking with the local. 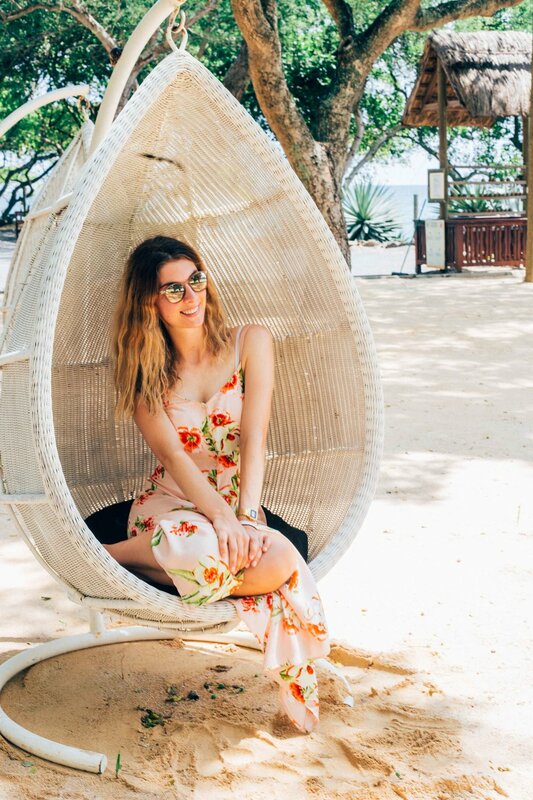 I must say thanks to my work with Club Med for sending me there, discovering both Club Med Albion and La Pointe aux Cannoniers and re-discovering the Mauritian Culture all over! After Mauritius, many told me to check its nearby French neighbour La Reunion - so maybe on my list for next time! Have you been to Mauritius? Let me know! How to visit Rottnest Island in one day and see lots of Quokkas! 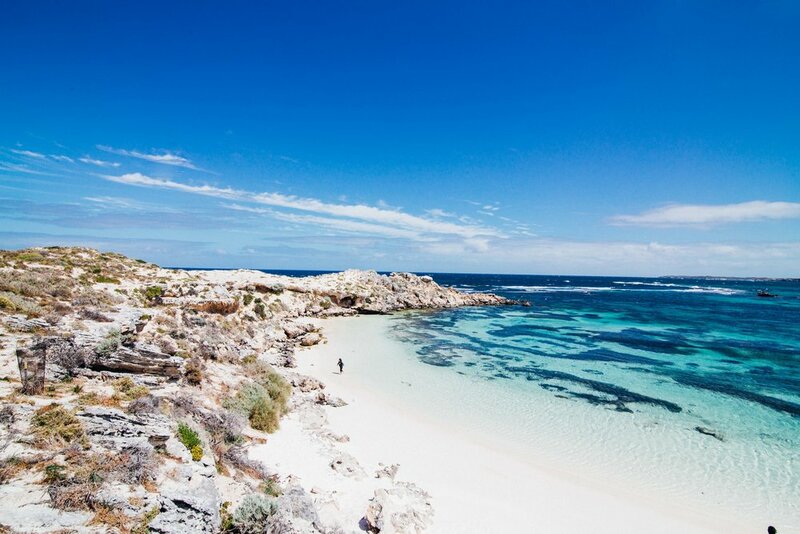 Located just an hour and a half off the Perth coast by Fast Ferry, Rottnest Island is another incredible Australian gem with quirky perks such as having no cars or seeing very cute and furry little creature: the Rottnest Island quokkas! Taking advantage of spending a few days in Perth, I could not miss the Rottnest Island day trip and truly made the most of it in just about 7 hours! Discover below how to visit Rottnest Island, what to see, where to spot Quokkas and how to come back with the ultimate Quokka Selfie! Have you seen my Rottnest Island Video? If not watch here! Rottnest Island is a small island just off the shore from Perth in Western Australia. 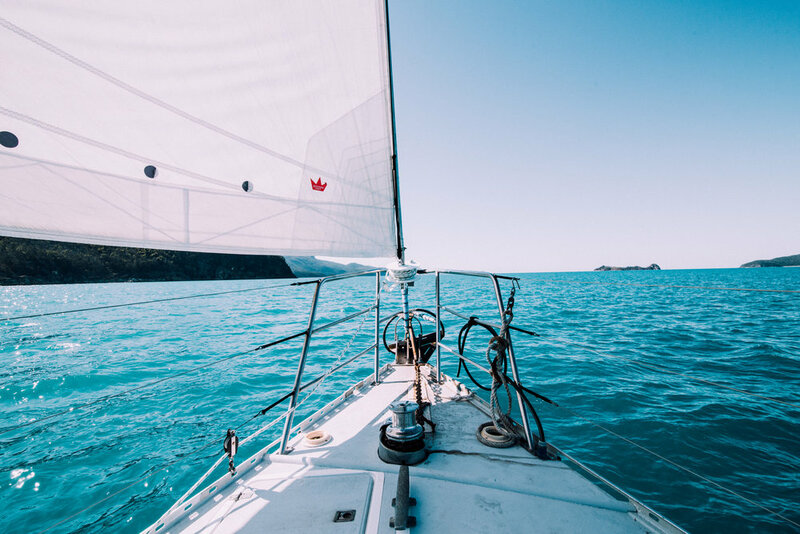 The only ways to get there are to either take the Fast Ferry (Rottnest Island Fast Ferry or Sealink ferry) from Elizabeth Quay in Perth or Fremantle near Perth, to get with your own motorboat or sailing boat, or to get a small plane to Rottnest Island airport. I opted for the Fast Ferry early in the morning from Elizabeth Quay, which took me a nice one hour and a half to reach Rottnest Island. I had also good commentary and beautiful views all the way. And then opted for the way back from Rottnest to Fremantle so I could hang around Freo for a few hours in the evening. The total price for me to get a return trip to Rottnest Island + bike hire - more on that below - was about 120 dollars which is quite expensive but definitely worth it. I also booked it a day before so probably didn’t get the best rate! Keep an eye in advance for better rates and offers. Rottnest Island has an incredible variety of things to do for all ages and all tastes! 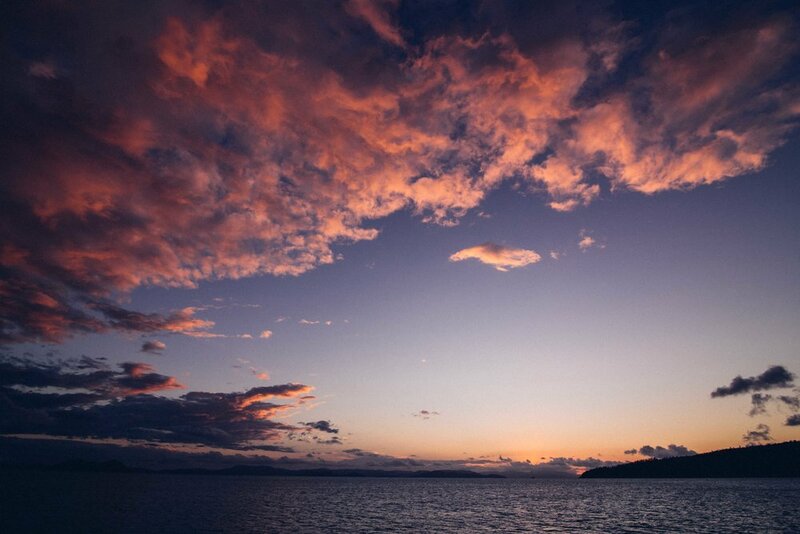 Whether you are staying a few hours or a few days, you’ll definitely get a good glimpse of the island. There’s something you need to know: there is no car on Rottnest Island! And this is truly awesome. You’ll see maybe one odd car needed for maintenance around the island or the local police. 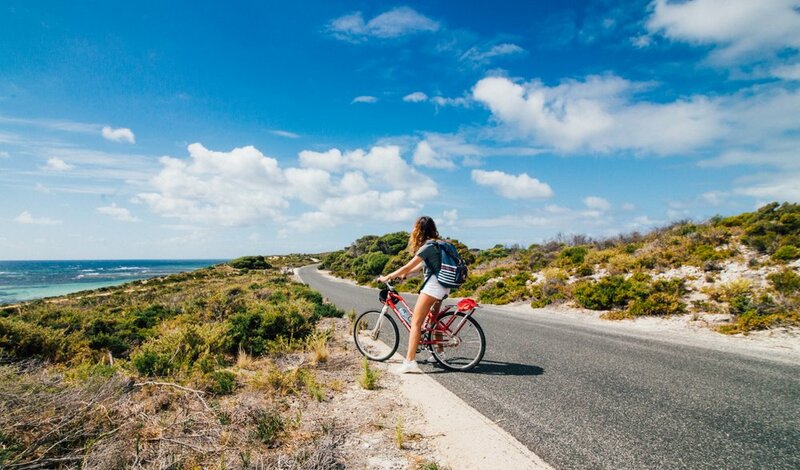 But the main ways of transportation of Rottnest Island are either: cycling or the only tourist bus going from stop to stop! So no worries if you are not totally fit to cycle for a day, the bus is also a good option. I chose to cycle around the island for the whole day and did about 12 kilometres on that day! I did most of the island except the pointy bit thinking I might get too tired and might not have enough time. My favourite beaches were Little Salmon Bay and Salmon Bay with incredible blue water and white sand, and I also spotted dolphins! This is easy to get to if you are only there for a few hours. I also wish I explored more of the Basin with nicer weather on the other side. Overall it’s worth going around the island and inside as well to see a bit of everything. You can do it all in one day but you’ll have to be pretty fit to cycle so much and have lots of hours ahead of you. About the cycling: I thought it was totally manageable but I also cycle to work quite often with lots of hills. I would recommend for everyone to try at least the small circle and see a bit of the island this way. Also, no locks are provided unfortunately so keep an eye on your bike or bring your own! This is the ultimate questions when on Rottnest Island: WHERE ARE THE QUOKKAS?! Well luckily, they are very easy to spot and very easy to approach. On the map provided by Rottnest Island, you’ll get some spots for Quokkas sightseeing. They do approach the humans a bit for food in the more touristy areas and definitely don’t feed or touch them but you can still get quite close. I recommend keeping an eye on bushes and more remote areas near the road and you’ll definitely see some! And yes, they are the cutest animal ever! They are so just happy and friendly, it’s incredible. They have no predators on the island so they are very trustworthy of others and should be truly protected. 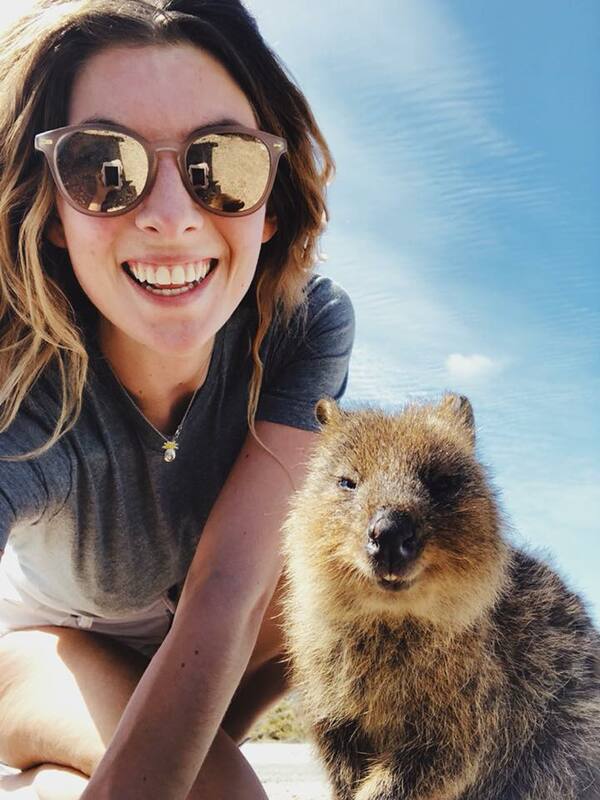 How to get the ultimate quokka selfie? Be patient and be ready to get to the ground! It’s totally fine to get a selfie as long as you are respectful and patient with the animal. Western Australia and Rottnest Island tourism boards are even encouraging it! Just don’t touch or feed them, get on the ground and get ready to take about 1000 pictures before getting THE ONE! It will make your day, week or every year really! 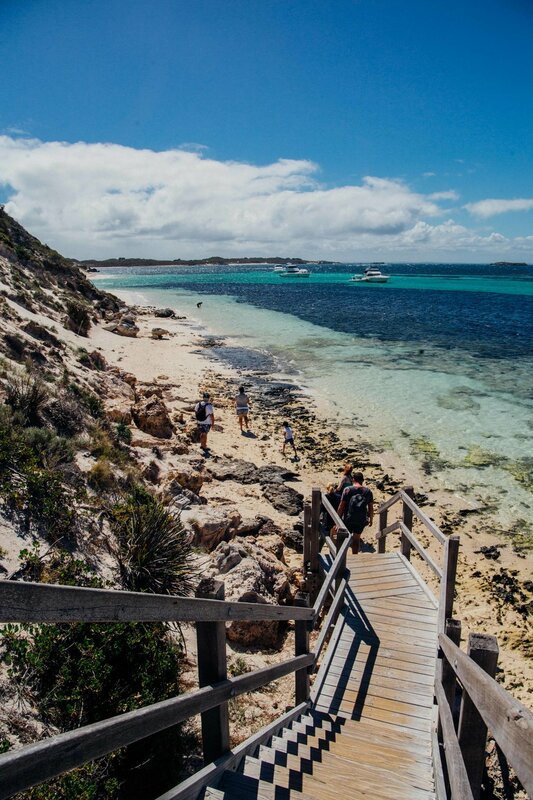 Are you planning a visit to Rottnest Island soon or have you been? Tell me your stories in the comments below! Portugal is quite a trendy destination right now. I can’t remember how many pictures and check-ins I’ve seen from friends over the last few years. Looks like my family is trendy too, without even trying, as they moved to this beautiful country when I moved to Australia almost three years ago - how convenient! This gave me the opportunity to discover their brand new region twice (before moving to Sydney and most recently in June): Algarve, a stunning part of Portugal, located in the South. I have yet to discover so much more but the very few things I’ve seen, I loved them. And now that I’m back from Portugal, I just can’t wait to go again. Quinta do Lago, Algarve, Portugal. Photo: Marine Raynard. South of Portugal has very different landscapes from other places, it can be lush green, extra dry or endless ocean and beaches. You also have spectacular cliffs and coastlines from Sagres to Faro. Perfect for photography and droning! It also reminds me of Australia from time to time. Portuguese beaches are simply awesome: they are free, they are clean, they are set in wild scenery and the water is delicious. It can get a little cold sometimes but really not that bad. Oh so perfect for a swim or a relaxing time. Even better, you can go surfing on the Atlantic side coast near Sagres in Algarve. I did it only once but I loved it! I really want to surf more on the Portuguese coast. Maybe not in the north though, like Nazare, where you have some of the biggest waves in the world - see for yourself here! Let’s be honest… Portugal is quite cheap. Beers are 1.5 euros and you have a nice dinner for 10 euros. Petrol, tolls and hotels can be a little more expensive but still very accessible when you come from France or Australia. Of course, the cost of life is cheaper and makes sense when the minimum wage in Portugal is only 600 euros a month. But it’s quite convenient when travelling! I didn’t know many Portuguese people until my parents moved there and up to now I’ve met so many kind locals willing to help, always with a smile on their face and living through optimism. There’s nothing better when travelling in Portugal than getting to know the locals and understand they’re the heart of the country! 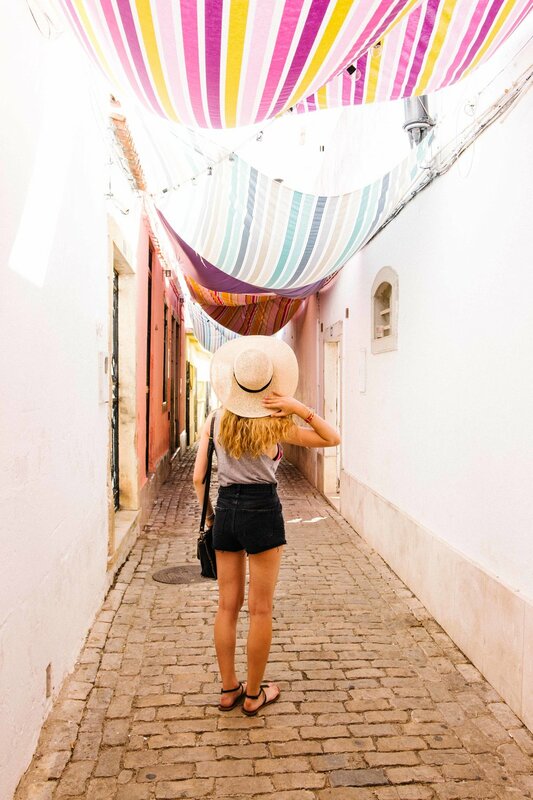 Myself exploring the streets of Loule in Portugal. For a small country with only 11 millions of Portuguese, there are so many things to do and see in Portugal and especially Algarve! There’s an activity for every taste: golf, surf, sightseeing, beach life, boat life, shopping, party, try new food, relax… It’s great for families, couples, friends… All styles of holidays and endless discoveries, really. I think the climate is comparable to Australia with hot summers and mild winters. The weather is generally good although you can get some rainy weeks (highly needed before the dry summer). I love the warmth and blue sky so it definitely makes a difference if you want a sunny holiday! Fishes, meats, cakes… there are many Portuguese specialities to try which will leave you longing for more! I love the cod fish and other specialty fishes - see here 10 of the top Portuguese dishes and tell if that doesn’t make you hungry! As for the culture, Portugal is very rich in history, art, architecture and the language of course! In Algarve, you’ll find plenty of museums, castles like the Loule one, and other things to admire like colourful ceramics. It’s a bittersweet feeling every time I have to leave Portugal as I know my parents live there and I wish I could visit more often. But unfortunately, it’s not so close from Australia! On my list for next time is to visit more of the North with Lisbon, Porto and Sintra as well as surfing the coast!. And my ultimate wish would also be to visit the Azores, a set of island 2 hours of flights from Lisbon, in the Atlantic Ocean. Just google the images of the island and you’ll understand why! Have you been to Algarve in Portugal? If yes, let me know where! Myself admiring the beautiful beaches of Algarve, Portugal. Layovers are generally not fun. The last thing you want to do when travelling is sitting for hours and hours at the airport, that while being extremely exhausted. However, layovers can be fun and even be the best experience ever. For the first time in my years of travelling, I actually got to do a 20-hour layover in Seoul, South Korea, on my way from Australia to the UK and it was well worth it. Let me tell you about it and hopefully, you’ll see layovers differently! I landed at 5:30 pm on Saturday in Seoul and was taking my plane back at 1:15 pm on Sunday. Quite a short amount of time but enough to do a few things. I had two options: either stay at the airport the whole time - there is a hotel there, free showers, lots of entertainment OR go out and explore a new country, new city and new culture in Seoul in few hours. As you can guess, I chose option 2 and it was totally worth it. All I researched was how to get from Incheon International Airport to Seoul centre, accommodation for the very-short night, and essential attractions to see. For only AUD$8 one way, the AREX express train was the most seamless and cheapest way to go from Incheon International Airport to Seoul Station. I just couldn’t believe how easy it was with such great comfort, nice views on the way and only 43 minutes to ride to the city. The train is every half hour. On the way back, make sure to go directly into the big Seoul Station and ask for information on where is the train. It is massive so I admit I got a bit lost! Also, allow plenty of time to come back to the airport and clear immigration. Although it went extremely fast for me, there might be times where lines are long so you don’t want to miss your plane! Although I wanted to explore the city, I also wanted to have a good night’s sleep in a comfortable bed in between my planes. I booked K-POP Hotel right next to Seoul Station (the name made me laugh a lot, apparently it’s a chain of hotels) as this was super convenient location and not too far from the centre. And this was such a good deal for only 40 dollars the night, with a super clean, comfy and cosy room (small though but I didn’t care), a rooftop, a kitchen with free breakfast, and even laundry facilities. Just what I needed for my layover. In Seoul, Uber isn’t very present yet so I had to hail taxis to get to the places I wanted. Be aware that taxi drivers in Seoul don’t really speak good English, so my technique was to show them on my phone where I wanted to go. Which worked pretty good although there were a few times where I had no idea if they understood haha! I didn’t have any data either so I was using the offline version of Maps.me for Seoul. Also, taxis are so cheap you can really use them every day. I didn’t try the train or buses though but they would probably be even cheaper. Since I arrived the Saturday evening and was leaving Sunday morning, my time was extremely limited but enough to at least have a feel of the city and the Korean culture. I read a bit before arriving about the essentials I should visit and got great information from my Korean friend who wasn’t there, unfortunately. It was great to know as well that as a woman alone, I could walk around the streets at night without having to worry. And she was right, it was super super safe! The Saturday night was extremely fun although I was on my own! After realising the taxi couldn’t take me up to the tower, I had to take the Nasnam Cable Car up to the Hill of Seoul tower. Although cheap, it was quite a long wait for a busy Saturday night and I wondered once up there if it was really worth it. But as it was night already, it would have been hard to walk up but it’s possible. It was however extremely fun to observe Korean families and experience the atmosphere once up there. Lots of young couples, friends and families were enjoying their night up there. The view itself isn’t crazy but interesting to see the big city from up high. After that, I got back down with the cable car again and went to my favourite part of the night: exploring the streets of Myeongdong. The stores were pumping with music, markets and all kind of people roaming around. I also accidentally stumbled upon a cat cafe in the middle of Myeongdong and since I was a bit hungry, it was perfect. From 10 pm to 11 pm (their closing time), I got to play, observe and photograph at least 15 very fun cats all alone with the staff! This was so far such a good moment. On the Sunday morning, it was a bit of improvisation and a trek to see the things I wanted. I wanted to go to the Temple but since I started visiting at around 7am, everything was closed of course. I still saw the doors haha! After getting lost for quite a bit trying to find the traditional neighborhood Samcheong-dong, I finally caught another taxi who got me there. I didn’t even know what it was called exactly as there are a few different ones and the distances are massive! But the taxi driver understood when I said “traditional houses” so phew, I got there! This was a definite highlight of my visit to Seoul. I loved being alone so early in the morning in those tiny streets, observe the traditional houses, take pictures, observe the few locals around, look at the only souvenir store opened so early in the morning and try to talk with the owner, get a fresh juice from the only food place opened as well.. I’d love to go back there. Finally, if you have time on this layover or for the next one, make sure to explore Incheon International Airport. Quite an amazing airport with so many facilities. The best was the free shower, almost like in a hotel with a really nice Italian-style shower. I re-lived in between my flights! You also have classic music performances, traditional Korean performance, rest lounges and even a nap room. And even better: the airport offers a FREE service for tours! You just have to make sure you are in the right hours and tours are from 1 to 5 hours, visiting nearby the airport or directly into Seoul. That’s a super quick experience but perfect if you really don’t want to hassle or organising. Check the Incheon International Airport website to know more about it. Finally, I flew over with Korean Air the whole way to Europe and back to Australia. It was the first time I was flying with them and really enjoyed the experience. The food was really good and served regularly, drinks are regularly served as well, the staff is super nice. Only the entertainment system is a bit old and there are not that many movies to choose from. If there is one thing you should definitely do while visiting California, it’s the Yosemite National Park. Last April, I went on an amazing adventure in San Francisco and I just couldn’t leave San Francisco without doing a detour to Yosemite National Park. The park itself is massive, just a bit more than 3,000 square meters. It’s part of California’s Sierra Nevada mountains and home to incredible views, stunning colours at all seasons and amazing wildlife. You could spend a day or a week in Yosemite, there will always be something to discover. So if you are hesitating to take a detour to Yosemite National Park (and believe me you shouldn’t), well take a look at my top reasons to go there and don’t tell me you don’t want to go after reading this! The United States counts 58 national parks. Some are very famous, some are less visited but all have something unique. “No temple made with human hands can compete with Yosemite”, that’s what John Muir, American naturalist, author, environmental philosopher, and glaciologist, said of the park. Well I guess many people agree with this because Yosemite welcomes more than 5 million visitors every year. Quite an impressive number but an equally impressive park! This is something I had no idea before doing a bit of reading before my trip to Yosemite: April and Spring in general are the best months to visit the park. Why? Because of the heavy rains previously and mostly the snow melting, the waterfalls are just flowing! And not just flowing, they are just pouring, lashing all of the water onto earth. You’ll definitely understand when trying to get closer. You’re not even close that you can feel a light mist to downpouring rain! Beware for your cameras. You know those green screens where you put some incredible landscape and make it feel like it’s real? Well it’s quite the feeling when you get to Tunnel View in Yosemite Park. I was just stunned by the beauty of the landscape, the light, the trees, the sky… All looked almost fake as it was so beautiful. Like if someone painted it or just took a picture and put it in front of me. But no, it was very real! And the view keep delivering all along the park. Tunnel View, Half-dome, El Capitan during hikes… There’s enough for you to be amazed! I only wish I could go to Glacier Point but it’s open only during Summer months. That’s another surprising feeling I had when getting to Yosemite: among all those huge trees, big spaces and massive rocks, I felt just… tiny. But in a good way, nature is so majestuous there that I just felt as a little part of this world and it kind of felt good to just go back to basics and just appreciate the moment and surroundings. Yosemite National Park has over 800 miles of trails so as many options to go around for any levels. I’ve seen many different types of visitors in the park, families, young, old, couples, singles… But all hikes are very accessible and some are very easy to do and still deliver for the views. You can’t go to Yosemite without at least one leading to a fall! One of my favourite ones was the Mirror Lake Hike very early in the morning with no one around. I loved the wild track and observing the valley from the end of the hike. Kind of linked to my previous point, everyone will be satisfied at Yosemite National Park. There is a lot of choice on where you want to stay: hostel, luxurious hotel, camping, lodge… More choice for food: restaurants, cafeteria. And lots of choice to visit around: organised tours, adventure tours, by yourself, etc. Yosemite National Park is home to approximately 90 species. There you’ll easily see birds, squirrels, mammals like deers and mice, fishes. You can also see bears although not as easily. Funny fact, there’s been 68 human-bear incidents in 2016. Well funny, maybe not as this isn’t the best situation! Wherever you stay in the park, you’ll be reminded to absolutely not feed the wildlife and stay away from it to not get animals used to humans and hence avoid dangerous situations. Yosemite National Park is “only” about 4-5 hours drive from San Francisco, even closer from San Jose and Sacramento. Even from Las Vegas or Los Angeles, it’s not that far if you are already on a road trip or have a few extra days. You can rent a car and drive or you can research a bit if there are any tours leaving from where you are staying. Plan well in advance and research a lot. Research can really go a long way for your trip! Check weather conditions, especially for Winter and Spring. Decide how you want to go there: car, tour, transportation. There are some really good shuttles in Yosemite Valley but I’d to have a car next time I go there to see more! Choose what kind of visit you want to have: adventurous hikes, photography discovery, relaxing stay. 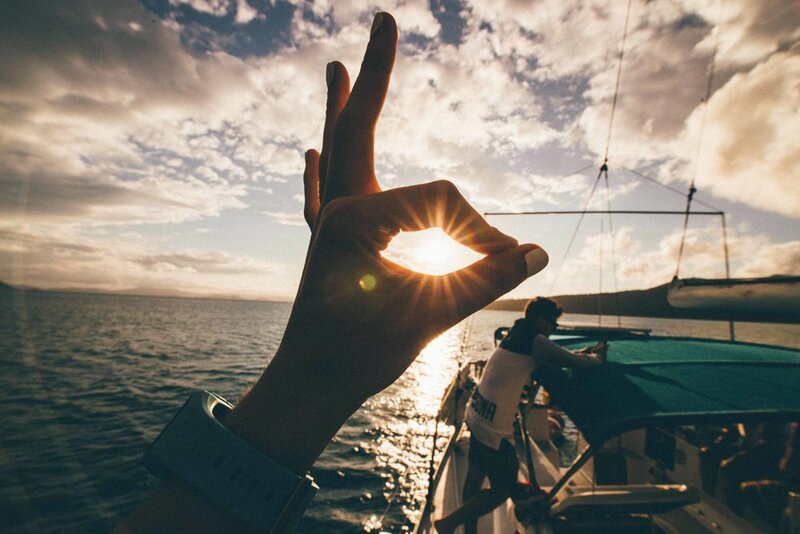 Don’t go without a camera, you’ll regret not capturing the views! Have all kind of clothes, it can get hot or cold quickly. Go stargazing! The sky is incredible and not that polluted so amazing to observe and even spot shooting stars. Don’t feed the wildlife! Don’t go close to it either. Many mice carry diseases that are quite serious. Check the shuttle schedule before you go on hikes, you don’t want to miss the last one and walk back. Spend at least 2-3 days in the valley. One day is not enough to see everything. Bring plenty of water and snacks + sunscreen. If you'd like to see more pictures of my Yosemite trips, head over here to see more in my gallery! And you, have you been to Yosemite? Let me know your story! San Francisco is one of the most iconic cities to visit in the USA at an only 14-hour direct flight from Sydney or 10-hour flight from Paris. It is located in Northern California and is known for its history, culture and now technology boom. 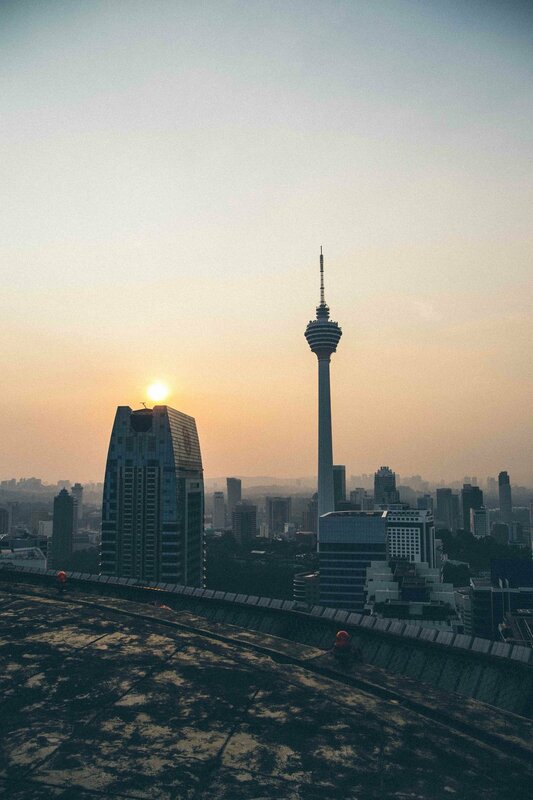 With only more than 800,000 inhabitants, the city is thriving but never too busy. If you spend one week in San Francisco, you’ll have plenty of time for you to discover the beautiful city by the bay. But be prepared to walk a lot, brave the hills and the weather! Discover here what itinerary I did for my week in San Francisco in April 2017, the perfect time for spring! To see all of my photographs from my San Francisco trip, head over here! The first day is always tricky because you are either super jet-lagged or not knowing really where to start. If you get in early, I would recommend that you go for the all-you-need free tour with Wild SF which is everyday at 10 am. It is a great introduction to the city and CBD with some really valuable information on how to get around, the history and why there are so many homeless people in San Francisco (more on that at the end of this blog post). After that, continue your CBD exploration around Union Square, Chinatown and the streets around. Because I was staying in Russian Hill, I then spent my afternoon exploring around the hill as well as having a look at the very famous and crookedest street in the world! Start from Fort Mason for a very long but nice walk around the Marina up until the Golden Gate Bridge. You’ll go through Crissy Field, few beaches with an amazing view and until the bridge. You can also do this by hiring a bike, very easy! 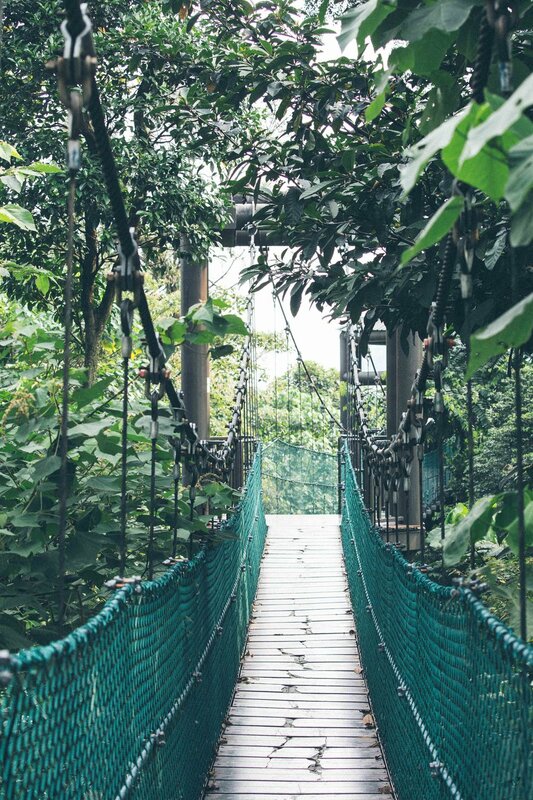 Walking on the bridge is a must-do. Many people stop in the middle but I would recommend that you go as far as possible to get the whole experience and it will be a lot less crowded the further you go. Also, you’ll have another amazing viewpoint at the end of the bridge: Vista Point. The perfect place for photograph opportunities. So I’m a bit crazy because, after the bridge, I walked all the way to Sausalito. Which is really fun but a bit long. I would totally recommend that you continue the whole way but either by bike or by Uber or Lyft. I would recommend the second option because Sausalito can be quite busy and if you’d like to take the ferry back, the crowds can be huge. Sausalito is super cute and very nice to hang out for a few hours. Definitely take the ferry back for about $11 US dollars with amazing views of the city and Alcatraz! Since you’ll be arriving at the main ferry terminal, maybe head around for dinner! Oh, rainy rainy day in San Francisco… I got lucky so far but Day 3 was just pouring and super super cold. San Francisco weather can change quickly at all seasons! Therefore my strategy when the weather isn’t helping is to go to the museum! San Francisco has a few museums and because I had time to do only one on that day, it was hard to choose where to go. It also was Easter Sunday so possibly many places were closed. I finally set my eyes on the California Academy of Sciences for the morning and it was a very very fun visit there. You’ll have many things to look at and do in this museum for at least two to three hours. Don’t miss the planetarium which is fantastic, the aquarium and finally the living roof! Incredible view up there as well. Since the Academy was in the Golden Gate Park and not far from Haight-Ashbury neighbourhood, I then walked from there to another Wild SF tour - the free love movement. For about an hour and a half to two hours, you’ll discover the fascinating history of the hippie times in San Francisco, all of the major artists and musicians who contributed it and all of this with original songs from the time played by Wilf SF founder, Wes. This is a really nice way to discover Haight-Ashbury because its history is so important. I think the main street isn’t the most interesting part but be sure to wander around the area and look at the beautiful houses. At an about 20-minute walk from there are the very famous painted ladies next to Alamo Square. I would recommend you take the walk and check those as they are quite interesting and with an amazing view. It’s best on a sunny day but still nice to see anytime. Today you can dedicate your day to being near the sea! I booked about a month and a half in advance my Alcatraz tour (very busy so make sure to book far in advance) for that day as well as a short cruise going under the bridge. The day was very moody and cloudy but quite in the mood to visit Alcatraz. The visit is quite stunning and the included audio tour is surreal. I really enjoyed learning about Alcatraz’s history and what it has become now. The views and gardens from the island are also incredible. Make sure to lock at least a full half of your day as there is so much to see there and you’ll easily spend 3-4 hours on the island. If you have time during the day, go check Fisherman’s wharf although this is a very very touristy area. I wouldn’t spend too long there but if you do, go at least to Pier 39 and see the sea lions lazily lounging around the wharf or the Musee Mecanique which is quite quirky. Don’t leave San Francisco without trying to hop on a cable car at least once! They are super fun and typical although super touristy too. Avoid getting them from the super crowded area like at Powell and Market or the Fisherman’s Wharf. Get them in the middle of the streets and you’ll likely get some space. Stand on the side for the full experience and hang on when the next hill is approaching! It’s a bit pricey (USD$7) but so worth it! I took the cable car from Russian Hill to Fisherman’s Wharf where I got to finally hire a bike. Another trick here, don’t let people yell at you in the street to get their deals and go biking. Instead install the Groupon app on your phone first and check for any deals. I got an amazing deal of 16 dollars for the whole day of biking instead of what the full price would be (32 dollars in that case.) It’s really not worth paying the full price so check before. I would recommend for you to bike around the Marina area, discover the stunning Palace of Fine Arts, look at more viewpoints of the golden gate bridge, look at the very luxurious houses of the Presidio heights and Richmond. Then bike up to Ocean Beach with the Sutro baths and the massive beach after. From there you’ll be able to go back to the Golden Gate Park for a fun ride and discover more green places. Finally, go back through the city to drop off your bike. Allow the full day if you’d like to do many spots and take pictures. But it is really not that hard apart for a few hills. It was definitely one of my best day in San Francisco! Towards the end of my trip, I was lucky enough to stay with a friend in the super cute Noe Valley neighbourhood. The perfect start point to explore the surrounding neighbourhoods such as The Mission and The Castro. Noe Valley has quite a dolce vita feeling with all those beautiful houses and shops. I’d really recommend to just walk around and from Church St to the 24th St to look at the houses, the colours and the views. On your way, you’ll also find the stunning Dolores Mission Park. This is a must-see for the view! All the locals enjoy having a break and looking at the beautiful horizon. The Mission is also very cultural and interesting to explore. Of strong Spanish influence, you can discover amazing murals, shops and places to eat. Finally, the Castro is the gay neighbourhood of San Francisco and a really fun one to discover too. I loved the rainbow colours everywhere and quirky shops. It’s a good place to have a drink at night as well. Like the first day, if this is your last day it can be tricky on knowing what you have time to do. Depending on your timing, I would recommend that you just take the time to do something you really loved, or discover another neighbourhood, a new museum or even take a day trip out of San Francisco. Oakland across the Bay Bridge. I’ve heard it is a super cute city which is booming a lot too! Berkeley and the university of course. Silicon Valley if you love tech and want to discover where all the big tech companies are. Whether solo, as a couple, with friends or in family, San Francisco is an amazing place to discover and explore. It is also quite safe to go around and there are many options for what kind of travelling you like. Enjoy your time in San Francisco and let me know if you have discovered anything amazing! SF being one of the most expensive cities to live in the world, It is quite pricey to travel there. Accommodation and eating out are the highest budget spends there. Make sure to book in advance or look for good deals. San Francisco Airbnbs are pretty good and leave you the option to leave the local life. But if you really are on a budget, hostels are always an option. Use Uber or Lyft to get around super easily and cheaply if you use the carpooling option. It was so helpful to get around the city and mostly from San Francisco Airport to the city. San Francisco has one of the biggest homeless populations in the USA. Be prepared to see lots of them roaming the streets, especially in the city centre. There are quite inoffensive and will probably ask you for some coins, but politely say “have a good day” or give what you would like to them and it will be all fine. I would just avoid walking the Tenderloin area late at night just in case. During the day, it’s mostly fine but still be careful. Book Alcatraz as much in advance as possible! It gets very very busy but you wouldn’t want to miss it. Don't forget to check all of my pictures here! I heard so much about Fraser Island since I arrived in Australia. And I heard many many good things about this wonderful place. So this was a natural choice when my French bestie told me she will be travelling up the East coast to choose a meeting point. Even better, it was the Labour long weekend in New South Wales so a good excuse to escape Sydney! Although if you know me, I don’t really need an excuse to escape, right? Fraser Island is amazing for its unique features. The heritage-listed island is considered to be the biggest sand island in the world with a 1,840 km2 surface. It is Queensland's largest island and Australia’s 6th largest island. Fraser Island's native name is actually K’Gari which means paradise. Its flora and fauna are so rich you quickly understand why it is called this way. 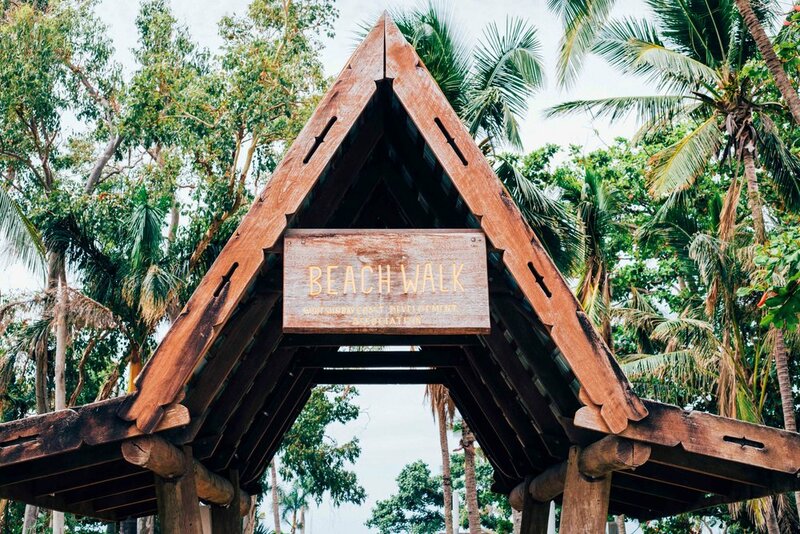 When exploring the island, you will find endless beaches, rainforests, eucalyptus woodland, lakes, mangrove forests, sand dunes and coastal heaths. Although the island is made of sand, plants are thriving thanks to fungi present in the sand. And of course, on Fraser Island, you can find many different animals, with the probably most known as Dingo. Unfortunately, there are not many left but if you are lucky, you might see one! 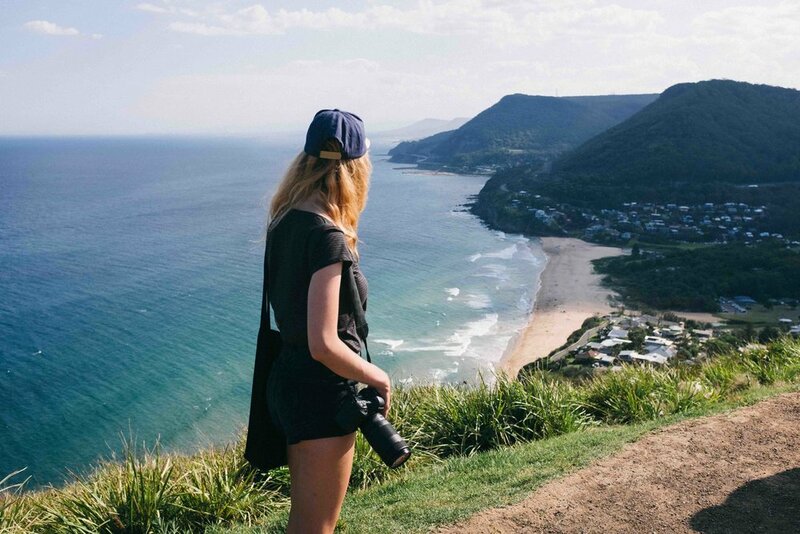 Armed with excitement and wanderlust, me and my friend Flore met in Brisbane first and then took a bus to Noosa and then a tour from Noosa to Fraser Island. There are many ways to get there but in the end, it really depends on of your availability and budget. The closest main city and airport to go to Fraser is Hervey Bay. Noosa is only about two hours away which I think is good to include when going to Fraser Island as this is a really cool seaside town to discover as well. We chose to go through Brisbane because it was a lot easier and cheaper for me from Sydney and a good way of discovering the city as well. Know some locals and go with them: lucky you if that’s the case because you can get the full local experience and freedom of discovering the island with someone who knows it well. Hire a 4WD and go on your own: we didn’t look into this option as we were not totally confident of driving around for three days in the sand and being just the two of us, plus finding accommodation or camping on our own there. However, we’ve seen some groups of four / five friends with rented cars who were probably staying in resorts or camping. You definitely get more freedom but the costs can be higher as well. 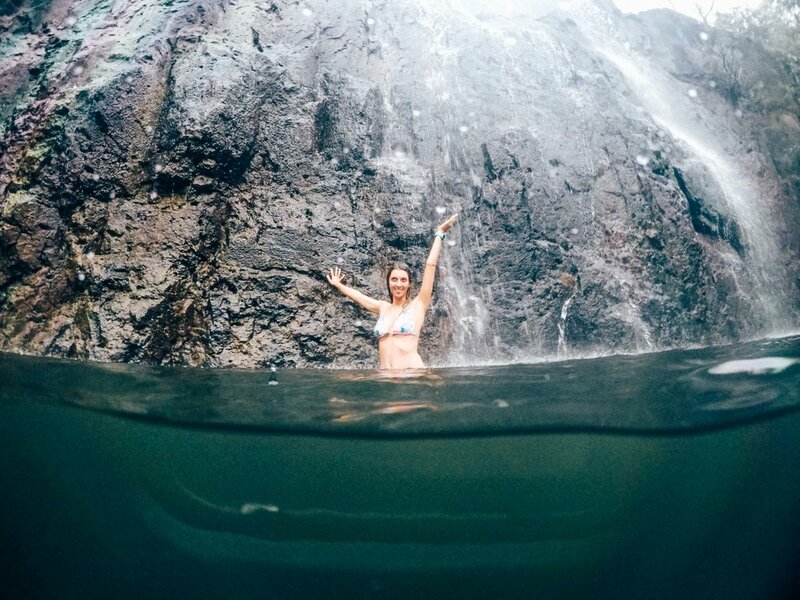 Tag-along tours: that’s what we did with Nomads Noosa. It was very backpacker style and adventure-like tour but amazingly well organised, all included for food and accommodation and with a top-shot guide Paul. We also got to drive the cars and had plenty of time and freedom to discover the main island gems. I think tag-along tours is the good compromise if you want to enjoy Fraser while not worry too much about the logistics and driving. It is also a really good price for the value. You have many tag-along tours to choose from with different accommodation types. 4WD bus tours: this is definitely the most touristy option and can get quite expensive. I would say this is good for people who don’t want something too adventurous or exhausting and keep comfort while seeing the island. You have large windows from what I've seen but you don’t get as much fun as in the cars. You cannot drive either. You can’t possibly miss it as this is the main beach you can drive on in Fraser Island. As you may guess, the beach is indeed 75 miles. All along you will find amazing ocean views and can spot many whales. Some people are also camping behind the dunes along the beach in designated areas. You will have inland tracks to go inside the island. At some point, you will also see Fraser Island Shipwreck and at the end of it, Indian Head and the Champagne Pools. Driving on the beach is relatively easy when it is on the wet/hard sand. It gets more difficult when driving on soft sand but with a bit practice, it’s fine. Just keep the speed up and avoid slowing down or you might get bogged. You also might share parts of the beach with planes, they are pretty small but as it is their runway you have to stop when indicated. Really cool to see though! Also, it is not safe at all to swim on that beach. The currents are extremely strong and there is a very large shark population. But be reassured, there are plenty of places to have a safe and fun swim. The Maheno Shipwreck is an impressive piece of metal sitting on the beach with a rich history. It’s pretty cool to see and to discover more about its history. It was considered as the Titanic’s sister in the years 1910’s as it was as big and luxurious at the time. Only thing is you can’t go inside as the structure is pretty unstable! Eli Creek is a sweet little spot along the beach as well. Many locals go there and park their 4WD, get the picnic table and chairs out, and chill out by the creek for the afternoon. When you go up the creek, you can find the purest water you can drink on the island. No one can go further that point so it’s very safe to drink, I did it! Then you can float back down the creek back to the start. This is one of my favourite places on Fraser Island! Champagne Pools are accessible through a little track leading to another part of the beach. You can already see impressive views of the ocean and then go down the little beach with the pools. They can go up to two meters deep but it wasn’t deep for us as the sand got washed into the holes. We’ve still really enjoyed the warm salty water, saw few fishes and even dipped a toe in the ocean next door. It was pretty safe conditions that but we couldn’t go further than a few meters. Then Indian head on the other side is more than amazing to discover. 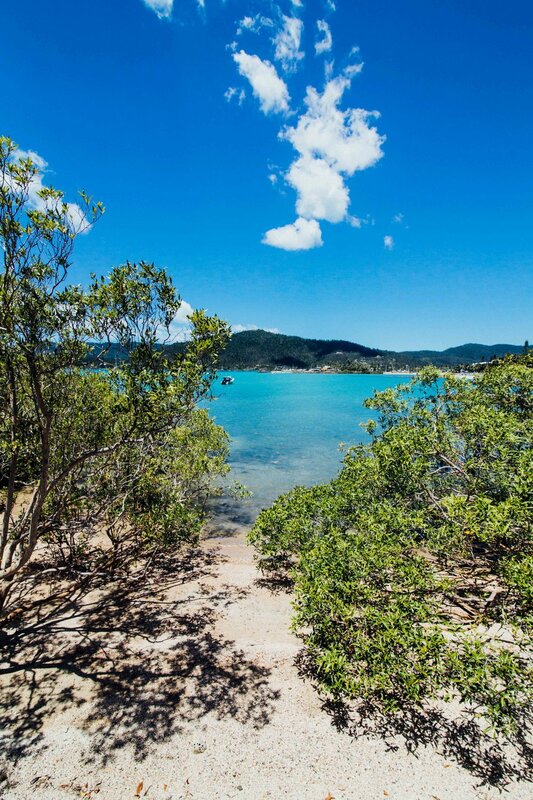 Through a little hike up the headland, you will see the best view of Fraser Island. We’ve spotted dolphins, manta rays and turtles as well. No shark, though! Our guide Paul explained Indian head is also very rich in history and is a sacred aboriginal land. This is where the elders were meeting to meditate and also deciding on the fate of individuals who committed mistakes. Like a real life trial. The punishment could be as bad as being thrown from Indian head rocks. 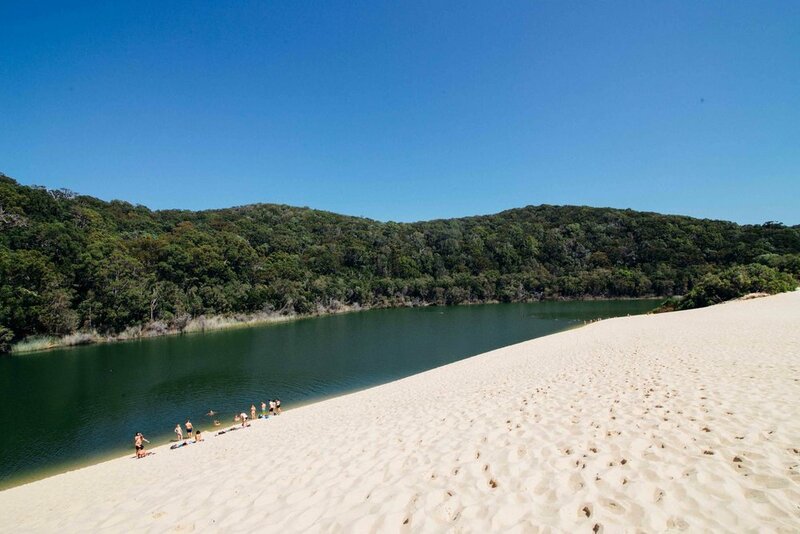 You wouldn’t guess Fraser Island has the most amazing lakes but it does! After about a 40-minute hike from the beach, you will find lake Wabby surrounded by dunes on one side and tea trees on the other side. The lake is green but so nice for the skin, you can also get some tea tree leaves and smell the delicious perfume. Lake Mackenzie’s colours are unbelievable. Unfortunately, it was a bit overcast where we were there but we could still see the crystal clear waters, deep blues and greens further away. The water there is also very pure therefore good for the skin, the sand is a really good scrub! Oh and I forgot to mention that to get there, you have to go through inland tracks on 4WD which make it very very bumpy and fun! Depending on which season you are going, you will need to pack different kind of clothes of course. 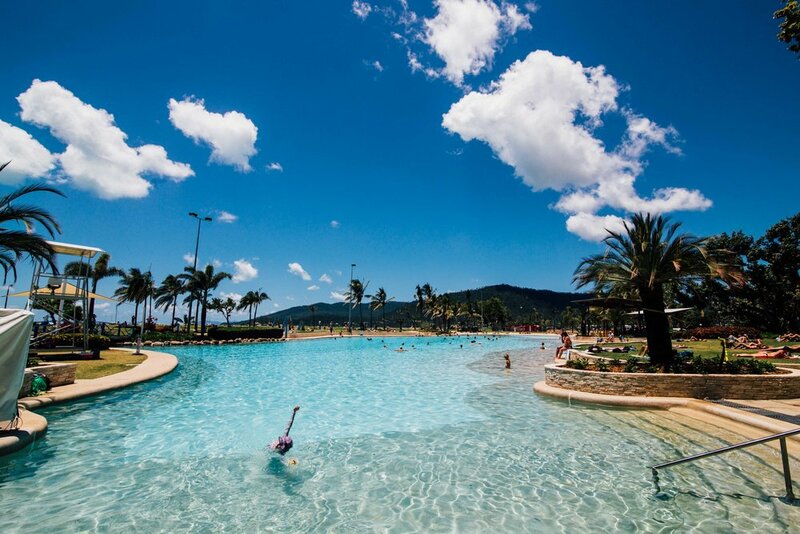 Queensland is generally pretty warm but can get colder in winter. We were there in Spring, early October, and days were perfect although nights are a bit chilly. Just make sure you bring your swimsuits! Good camera gear + GoPro is the best combo on Fraser Island. Camera for the amazing landscapes, nature, wildlife. Gopro for the adventure side, going under water in the pools or lakes. I did a mix of those two and it was great although annoying to carry around each time. I had the great idea of googling before leaving about mosquitos on the island and I really thank myself for doing that! The day I left I bought the roll-on repellent and it has been my second best friend the whole trip. During the day on the beach, there’s not a problem but as soon as you go in the forest or in the evening, all the mosquitos are out! Believe, I’ve had the experience and I’ve seen other people with more than 1-15 bites. Either you’re lucky and they don’t like you, either you are a mosquito magnet like me and you better have your repellent ready. Fraser Island’s sun is pretty good although can be strong. A good SPF sunscreen is recommended, you will still tan I’m sure! Finally, bring some good music through Spotify offline or on your phone. When in the 4WD you can plug your phone and rock the beach driving with your favourite tunes. Thrilling! Oh and if I said offline, it’s because it’s pretty hard to get coverage at all on the island. The luckiest you will be is if you are with Telstra and in the main village. Fraser Island is an amazing piece of nature so I can’t say enough that everybody needs to be respectful of its ecosystem and not throw garbage away anywhere. (You shouldn’t do that anywhere anyway). So If you see someone not respecting that, please let them know. Also if you see some Dingos, that’s super lucky but don’t get too close as they can be aggressive, or give them food at any time, this will do more harm than good. Just enjoy watching them quietly. Coming next: my Fraser Island video and an amazing infographic! Fraser Island is one of the wildest places I’ve ever visited in Australia and enjoyed every minute of it. Check my full photos below and watch out for my upcoming video and infographic. Have you been to Fraser Island before? Please let me know what your thoughts below! As a Sydney-sider and recently moved to Australia, I’ve only been three times in total to Melbourne. So I am still to discover parts of the city but each time I went for a weekend in Melbourne, I really really enjoyed it and did so many things. If you are planning on a weekend in Melbourne soon or just want to know where to go or what to see, then continue to read below! If not, just watch the images, it’s as enjoyable! Sweet and short: Melbourne is located in the Victoria State, on the South side of Australia and not too far from Tasmania. Melbourne is the second most populous city down under and has been praised many times as “The World's Most Liveable City” . It is now praised for its cultural activities, its beautiful food, amazing street art but the weather is a bit… capricious. Think four seasons in a day. Melbourne is very easy to access by plane from anywhere in Australia and even internationally. The Sydney to Melbourne road trip is also really nice to do at least once in your life, I did it at the beginning of the year - read more about it here. 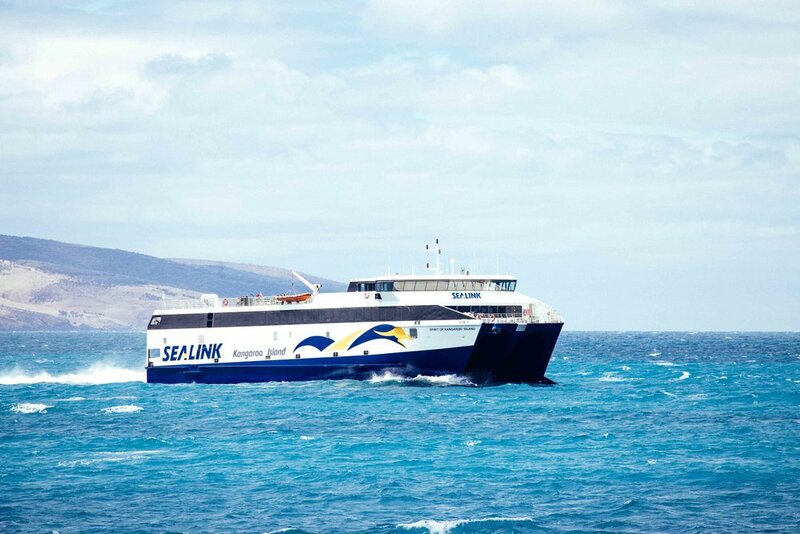 Also, if you are in Tasmania, you can also catch a ferry from Hobart to Melbourne, how cool! So what should you do if you only have a weekend in Melbourne? Melbourne’s CBD is really easy to walk around. It isn’t too big so you can definitely see different things in an afternoon or a day if you stop longer at some locations. 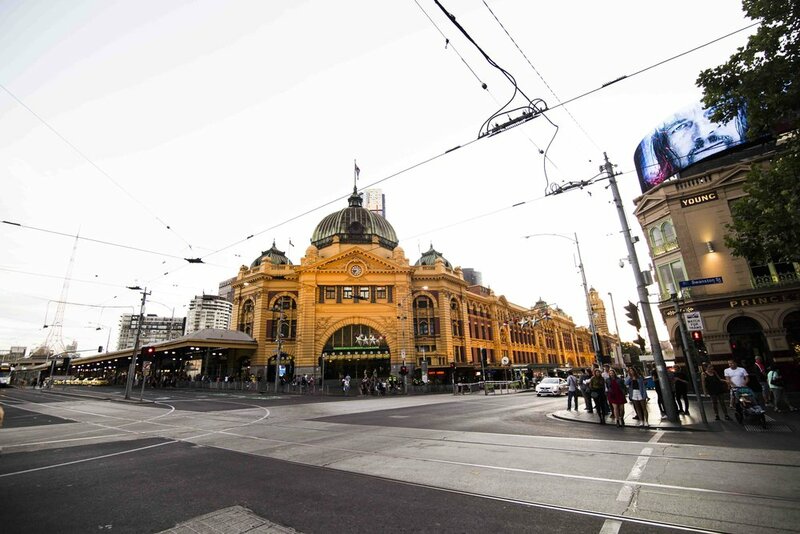 Flinders Station: it’s an architectural icon you can’t miss when discovering Melbourne. Built in 1909, Flinders Stations looks beautiful in photographs and can take you to many places around Melbourne. It is also where most trams are departing. Melbourne kept a really good tram network - with most of the CBD’s ones are free now, watch for the green line. You can also take the free tourist tram, 35 City Circle, which will take you around Melbourne with some commentary. Hosier Lane: you can’t go to Melbourne without seeing its street art. One of the most famous street art lanes is really close to everything in the CBD and showcases enormous graffiti. They change all the time so don’t be surprised if you see something new at another visit. I never saw the same ones. Make sure to take pictures and notice the little details. For a full list of where to look for street art, check That’s Melbourne website here. Arcades:mostly from the Victorian era, you will find many beautiful lanes and arcades in the CBD. Some have hidden coffee shops, some have really cute shops. State Library of Victoria:This is probably one of the most beautiful libraries in Australia. Make sure to check the magnificent LaTrobe room where architecture meets greatness. Nothing better than the calm of a library to relax for a bit. 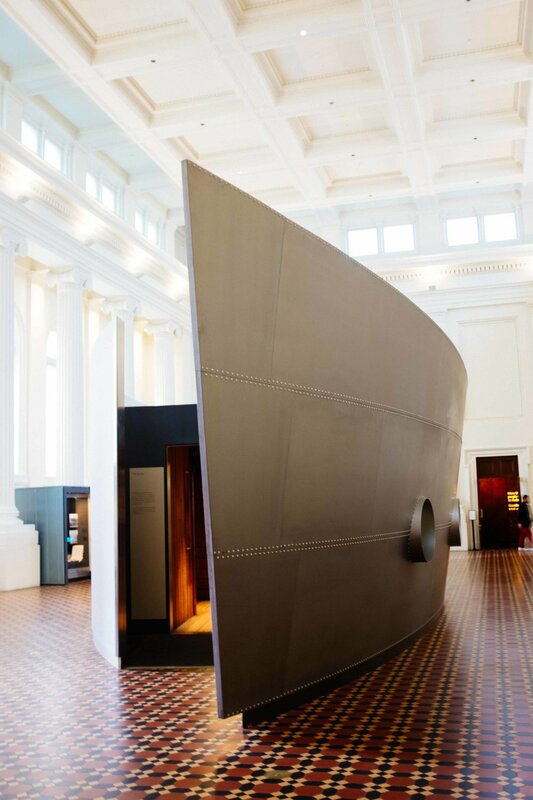 It might be short for a weekend in Melbourne, but if you have some time, make sure to check some of the museums. And if it is raining, that’s generally a good choice. The ACMI: or the Australian Centre for the Moving Image is an amazing museum to discover if you like everything film, television, games and digital culture. I visited it three years ago and could have easily spent hours and hours in there. I also saw a wonderful exhibition of costumes in all kind of movies. At the moment, the ACMI is showcasing Martin Scorsese’s work. I didn’t get to go, but you have until 18 September 2016 to check it! The ACMI is also at the heart of Melbourne’s meeting place: Federation Square. Right next to Flinders Station, you can’t miss it. The National Gallery of Victoria:another beautiful museum with great exhibitions. I can’t get enough of museums I know! The general entry is free and you can purchase a separate ticket for exhibitions. At the moment, I would recommend going to Degas: A new Vision exhibit which showcases the most beautiful painting of the famous french artist. The Museum of Immigration: it’s definitely not as known and not the first choice when you come in Melbourne. Nonetheless, this museum is really interesting and important to understand the story of Australian immigration until today. A well worth museum you can do in 2 hours. So now you’ve explored the CBD, you kind of want to see a bit more of Melbourne, right? Well although Melbourne has its centre pretty much inland compared to Sydney, there are some nice places to discover not too far from it. St Kilda: located at just 6 kilometres south of Melbourne or about half an hour in trams and it is definitely one of the most famous beaches. A great place to walk around and enjoy, if possible, a sunny afternoon! Brighton Beach: now this is one of my favourites. Brighton Beach has two amazing assets: the view of Melbourne from it and its very original beach baths. It is only 11 kilometres from the city centre and very accessible via tram as well. Make sure to take photos in front of those colourful beach baths. So lovely! Abbotsford Convent: located not too far from Collingwood, the Abbotsford Convent is a really cool place to go for a morning coffee breakfast or vegetarian lunch at Lentils as Anything. The rule, you give whatever you think is right or what you can afford for a lunch and the money will be used to help other people in need. Only volunteers help out there and the food is more than delicious. Around the Convent, there are also a few contemporary art exhibition, workshops, fairs and a really cute farm! So many activities to choose from. It can’t be a weekend in Melbourne without partying a bit in Melbourne! Melbourne is luckier than Sydney as there aren’t any lock outs there and you can really feel it in the city’s atmosphere. Everybody is coming out later and stays out a lot later as well. Most of all, everybody seems to have lots of fun each time I go out in Melbourne. I’ve always been told the best neighbourhoods are Fitzroy and Collingwood to go out. Tested and approved! Although I didn’t get to do all the bars, I went to Yah Yah’s and had a great time. Melbourne is definitely a lot more laid back than Sydney! I’ve also heard the Tiki bar in the same area is a really fun place to go, adding it to the list for next time! If you’re up just for a chilled drink in the CBD, go next to the yarra river. There are a few bars/restaurants and it’s really nice to enjoy the yarra river view with the South Bank and a few beers. I’ve always found Melbourne really good to shop in. Whether it is in the CBD or around it, there’s always some good stuff to shop. There are also many individual shops where you can buy cheap and unique clothes or accessories. I went to Prahran and really like the vibe there, many shops, cafes and a really cool market as well! It can’t be a complete weekend in Melbourne without buying a few things. If you plan on a long weekend, or come back but seen it all, why not plan a bit further than just Melbourne? My top recommendations would be: Phillip Island for the surf and seeing penguins and the Great Ocean Road but the most amazing landscapes ever. You can read more about those here for the Road Trip from Sydney to Melbourne and here for the Great Ocean Road! So, what’s your favourite thing to do in Melbourne? I've finally decided to use my graphic design skills on my blog to design about my travel or anything else I find inspiring! So, you are now seeing my very first travel infographic on The Frenchie Escapes. Why an infographic? Because it's fun, super visual and easy to understand. I love colours, icons and cool facts so that's the perfect way to combine those. Have a look at my infographic 'New Zealand in Numbers' and let me know what you think! If you haven't ready the whole story about my trip yet, then don't wait and discover my New Zealand Road Trip. Want to see more pictures? Then have a look here and see my full photography album about my recent trip to New Zealand!